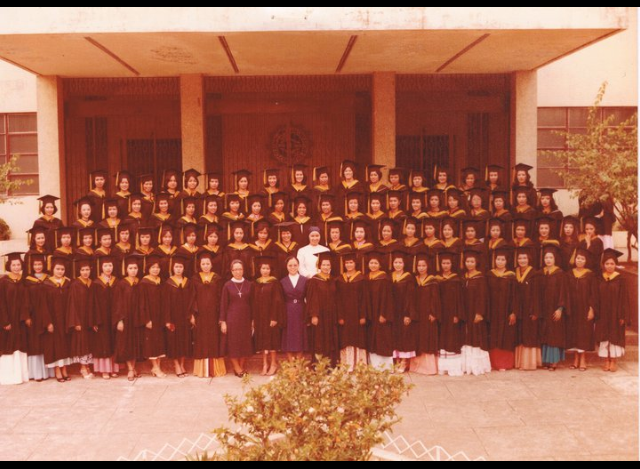 Thirty three (33) years ago, we left Concordia College as fresh and new graduates; with a vision of hope and desire in our hearts, but yet unaware and or uncertain of the kind of world that will be unfolded to us. The five (5) years that we spent together in the protective and nurturing womb of Concordia College, was more than enough for us to carry on, as we strive to grow and be the best of who and what we are now. Just like the seeds of mustard, we were scattered all over different places. Perhaps you will all agree with me, that we have had our own share challenges; that we encountered so many ups and downs in our journey, as we travelled the road to attain our goals in life. But with courage and determination, and the vision that was instilled in our minds and hearts by Concordia College, multiplied by each and everyone’s innate desire and ambition, brought us to see and experience the bright face of success. With but a few of our batch mates who, at one point or another made efforts to be in regular contact with each other, we seemed to lose track of each other’s whereabouts for quite a while. I for one had been incognito for a long time. And that’s understandable. Because we were so much obsessed and engrossed to find a stable place under the sun; to be somebody special, be it on a personal and professional stature. Every day when I drive to work, I always praise and thank God for guiding and inspiring me through these years. Starting from being a Concordiana, and being with the group – the BSN Batch 1978, that honed me to be who and what I became. I will forever hold this nostalgic feeling in my heart. The day has come for us (at least those of us who can make it) to come back HOME. HOME is Concordia College, where we are always welcome. Now, we can proudly say that we are the product of an institution that instilled spiritual, moral, social, and professional values that will forever be etched in our whole persona. We have completed the full circle; we’re back where we started! Enjoy the great company of each other. I look forward to be with all of you in the future reunions. My love and regards to everybody.